PHILADELPHIA- The largest Roman Catholic health organization in the United States was accused in a federal complaint on Tuesday of failing to provide appropriate care by refusing on religious grounds to allow a pregnant woman with a brain tumor to be sterilized. The complaint was filed by the American Civil Liberties Union with the U.S. Department of Health and Human Services’ Office for Civil Rights. It asks the health department to investigate the policies on sterilization of Ascension Health [ASCNH.UL] and its subsidiary, Genesys Health System, to see if they violate federal medical care regulations. Jessica Mann’s doctors had recommended she not get pregnant again due to the possible strain the pregnancy would put on her health because of a pre-existing brain tumor. Mann was pregnant at the time. The doctors recommended in early 2015 that she undergo tubal ligation when she had her C-section procedure, according to the ACLU complaint. 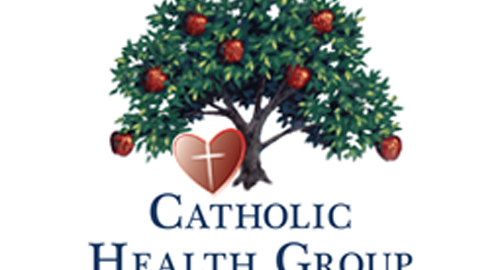 “As a Catholic healthcare system, we follow the ethical and religious directives of the Church. Beyond that, we can’t comment on this patient’s particular case,” Johnny Smith, an Ascension Health spokesman, said in a statement in response to the ACLU’s complaint. The U.S. Department of Health and Human Services’ Office for Civil Rights did not immediately respond to request for comment. In 2015, a Genesys hospital in Michigan refused to allow the procedure to be performed on Mann, 34, citing religious directives, the ACLU complaint said. The denial came despite a letter from Mann — who had two previous children at the Genesys Regional Medical Center in Grand Blanc, a suburb of Flint — for an exception to its ban on sterilization. The refusal forced Mann to “frantically search for a new doctor and new hospital,” she said in a statement on Tuesday. Mann delivered a baby girl at a different medical facility and was able to have the tubal ligation procedure at the same time. Tuesday’s complaint follows one filed in October 2015 by the ACLU with the Michigan state-level department that handles health regulations. However, the Michigan Department of Licensing and Regulatory Affairs (LARA) closed the complaint because it did not pertain to the conditions at the medical facility, according to the ACLU complaint filed on Tuesday.